Digital-11 was brought in by Weber Shandwick to help Boston University's public relations campaign to help the residential communities understand how the University's new Bio Safety Level - 4 Lab would be maintained and secured. Video produced allowed community members inside the lab to visualize the high standards that were implemented to ensure public safety. 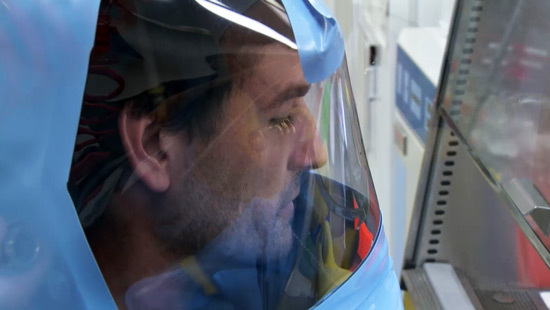 Digital 11 produced and edited this video for Boston University to explain the state of the art security features of the National Emerging Infectious Diseases Laboratory (NEIDL), located at Boston University. 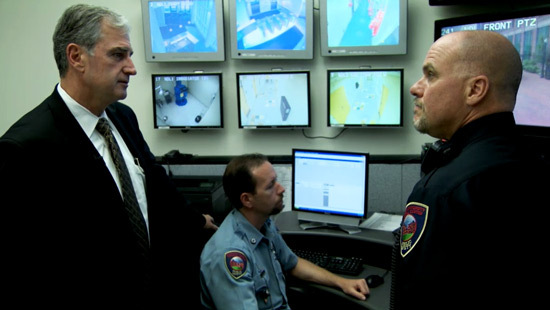 Executive Director of Public Safety Tom Robbins discusses how the NEIDL’s top-of-the-line security technology, personnel, and procedures ensure the safety of researchers, employees and the community. Digital 11 worked with Weber Shandwick, the public relations firm hired to help Boston University publicize the safety features of the NEIDL. Digital 11 produced and edited this video for Boston University to explicate the safety precautions being taken at the National Emerging Infectious Diseases Laboratory (NEIDL), located at Boston University. Director of Research and Safety Ron Morales, took Digital 11 on a tour of the laboratories and explained how state-of-the art technology and rigorous three-stage training ensure maximum containment and safety in the lab for numerous biosafety levels. Digital 11 worked with Weber Shandwick, the public relations firm who was hired to help Boston University publicize the safety measures being taken at the NEIDL. Digital 11 produced and edited this video for Boston University to explicate the Bio Safety Level 2 construction efforts at the National Emerging Infectious Diseases Laboratory (NEIDL), located at Boston University. Digital 11 interviewed Researcher James Galagan in this video. Digital 11 also worked with Weber Shandwick, the public relations firm hired to help Boston University publicize the safety features of the NEIDL. Digital 11 produced and edited this video for Boston University to explicate the Bio Safety Level 2 construction efforts at the National Emerging Infectious Diseases Laboratory (NEIDL), located at Boston University. Digital 11 interviewed Researcher James Igor Kramnick in this video. Digital 11 also worked with Weber Shandwick, the public relations firm hired to help Boston University publicize the safety features of the NEIDL. NEIDL – Safety & Security 2 from Jennifer Donaldson on Vimeo. This video was produced for Boston University to explain the safety precautions being taken at the National Emerging Infectious Diseases Laboratory (NEIDL) at Boston University. Several Directors showed us around the facilities and gave insight into their ongoing projects. Digital-11 worked with the public relations firm, Weber Shandwick who was hired to help Boston University communicate about the safety of the NEIDL. Digital-11 produced and edited this video.